This book examines key aspects of the history, philosophy, and culture of science in India, especially as they may be comprehended in the larger idea of an Indian civilization. The authors, drawn from a range of disciplines, discuss a wide array of issues — scientism and religious dogma, dialectics of faith and knowledge, science under colonial conditions, science and study of grammar, western science and classical systems of logic, metaphysics and methodology, and science and spirituality in the Mahabharata. 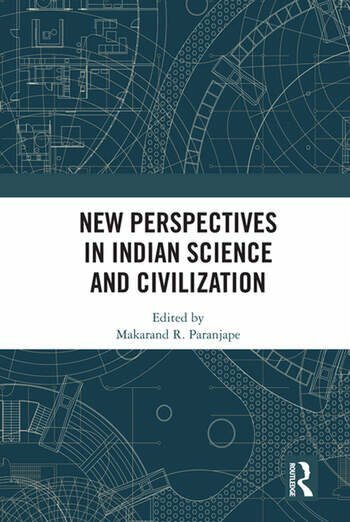 This collection of essays aims to evolve a framework in which science, culture, and society in India may be studied fruitfully across disciplines and historical periods. With its diverse themes and original approaches, the book will be of interest to scholars and researchers in the fields of the history and philosophy of science, science and religion, cultural studies and colonial studies, philosophy and history, as well as India studies and South Asian studies. 2. Science and Spirituality: Is There a Common Ground? Makarand R. Paranjape is Director, Indian Institute of Advanced Study, Shimla, India. He has been Professor of English, Jawaharlal Nehru University, New Delhi, India for close to twenty years. Earlier, he taught at the Indian Institute of Technology-Delhi and the University of Hyderabad. His overseas assignments include the Eric Auerbach Visiting Chair in Global Literary Studies at the University of Tubingen, Germany and the ICCR Chair in Indian Studies at the National University of Singapore. He was educated at St. Stephen’s College, University of Delhi (BA Hons.) and received his Master’s and doctoral degrees at the University of Illinois at Urbana-Champaign, USA. He is the author/editor of over 45 books, which include works of criticism, poetry and fiction, and has published over 175 academic papers. His latest works include Debating the 'Post' Condition in India: Critical Vernaculars, Unauthorized Modernities, Post-Colonial Contentions (2017), Cultural Politics in Modern India (2016), The Death and Afterlife of Mahatma Gandhi (2015), Making India: Colonialism, National Culture, and Indian English Literature (2015), and Acts of Faith: Journeys to Sacred India (2012). "This is a much-needed volume that traces the links between science, spirituality, culture and society in the Indian context. How universal is science? Is the truth as sought by scientists absolute? What indeed is science itself? These and more questions are admirably probed by the several authors of this volume, which is ably edited by Makarand Paranjape." "While the scientific method is universal, the domains of scientific inquiry, the embedding of scientific results and their philosophical framings are all civilization- and even culture-specific. The present volume is an admirable attempt to elucidate many of the critical links between the domains of science and the civilization of India. It is sure to catalyze substantial further inquiry."